For better or worse, the student's "home life" in their homestay will have a significant impact on their perspective, their happiness, and their academic efforts. That's why we do everything in our power to ensure that the student has the best homestay possible. We do background checks, home visits, and require regular reporting to ensure that the home environment is safe. We gather profiles of students and host families to try and make the most compatible matches. And if for some reason things aren't working out, we do our best to mediate issues or find a better placement to fit the student's needs. We also offer 24/7 support to our host families and foreign exchange students for any issues that arise throughout the stay. All this happens on our end, but what what else can a host family do to make a foreign exchange student’s stay more successful? When you welcome a family member home after a long absence, there is bound to be plenty of hugging and kissing. You may put up a banner and make a special meal. You might invite extended family and friends to participate in a welcome home celebration. But you wouldn't necessarily do the same when you welcome a complete stranger into your home. So when you decide to open your household as a homestay provider of AmeriStudent for foreign exchange students, you could find yourself at a loss as to how to help them feel comfortable and welcome. As strangers in a strange land, they're bound to feel out of place. They may be anxious and homesick. And as the head of a host family, it is your job to offer the guidance that helps to ensure that the students in your home have a wonderful and fulfilling experience. Here are some strategies you may want to employ in the service of making your foreign exchange students feel welcome. A good place to start is by setting up a comfortable personal space (i.e. a bedroom) for any students that will stay with your family. It can be difficult to adjust to a new living situation with people you don't know, and your international student is bound to feel awkward at first. So offering a room that is warm (or cool, depending on your climate), comfortable, and inviting is a great way to show them that you care about their welfare and that you respect their privacy in your home. Some students may prefer to bunk with one of your kids, especially if they are the same age and end up getting along. But you shouldn't count on such a situation working out. It's likely that your students will be more comfortable, at least initially, if they have a space to call their own. You might also want to consider providing an affordable means of contacting their family and friends back home. You don't necessarily have to go to the expense of adding a long distance plan to your home phone, but you might want to install a wireless router so that they can use Skype, FaceTime, or some other video conferencing software on their own devices (laptop, tablet, smartphone, etc.) to stay in touch with their loved ones. This will allow them to stay connected from the comfort of their own room or anywhere else in your home. And of course, it's always a good idea to learn what you can about the customs and culture of the students staying with you before they arrive. For example, you could try to prepare foods or include hallmarks of their home country as a way to ease their transition into American culture. You might even want to learn a few common phrases in their native language. And if you can find some activities to get them involved in where they can meet people their own age, you'll find that new friends will help to make the process easier, as well. Your forethought and sensitivity could go a long way towards making international students feel more comfortable and welcome in your home. If you will be living with a student for at least a semester, or maybe longer, you want to make sure that your home is a comfortable and inviting haven when you elect to become a host family. Here are just a few steps to prepare a bedroom appropriately when hosting a foreign exchange student. Before you can take in any Foreign Exchange Student, you'll go through a rigorous host family screening process to make sure your home and family are up to the task. This generally includes an inspection of your home by the organization you're joining. So you'll want to prepare your exchange student's intended room by deep cleaning at the very least. This means moving out furniture to shampoo the carpet, adding (or cleaning) window treatments, and even wiping down walls. When this is done, you can repopulate the room with appropriate furnishings, including a bed, a dresser, and a desk for homework. Most host families don't know early on if they'll end up with a male or a female foreign exchange student homestay student. So you don't necessarily want to opt for a gender-specific color scheme in the bedroom. Instead, repaint the walls in a warm neutral, like off-white or a sandy shade that will provide a blank backdrop for students to add their own decorations. This will freshen up the room without potentially creating the off-putting feelings that the wrong color choice might elicit. Even when you're far from home, there's nothing like beautiful, luxurious linens to help you drift off to dreamland. So instead of skimping here, start with a comfortable mattress and then spring for a nice set of linens that includes matching sheets, a comforter, and pillows. Again, a neutral palette should suit either gender and your students can always dress it up with colorful pillows or throw blankets after the fact. When a foreign exchange student uses a host family finder, they're not only looking for a housing situation in a certain city or near a particular school - they also want a host family they'll get along with and that can provide a comfortable living situation. So you'll want to avoid a room that's too spartan. Instead, add a few unique accessories like lamps, artwork, throw rugs, mirrors, and a pinboard for students to place their own photos. They can always swap out the items they don't like down the road, but when they first arrive, they'll feel like they're staying in a welcoming home rather than a monastery. 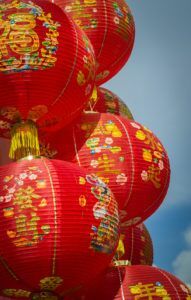 There are certain annual events that nearly every country around the world celebrates, such as the arrival of the New Year (although there is more than one date attributed to this festivity, depending on country and culture). But most countries also celebrate a variety of holidays throughout the year that are linked to religion, history, honored persons, and more. Just look at the vast number of holidays celebrated in the U.S., from Christmas, Hanukkah, and Kwanzaa to Memorial Day, President's Day, and Independence Day. And those are just a handful. So when you and your loved ones decide to become a host family, it's important to take the time to research the international celebrations your student or students might observe. Here are a few simple guidelines to follow. Until you make the final arrangements for hosting a foreign exchange student, you might not know the nationality or religion of the student you'll be hosting. Of course, host families do have some say in where their students come from. So if you happen to speak some French or German, just for example, you might request a student from France or Germany. But if you're not particular about hosting foreign students, you may have very little time to accommodate your students and make them feel comfortable. At the beginning, the best thing you can do is to find out if the student comes from a religious family. This will give you an important piece of information to get started. From there, you can start searching for celebrations related to both the student's country of origin and the religion the student practices. You should know that even within a religious group, celebrations can differ by country or region. However, some research should set you straight and give you clues as to what kinds of dishes are prepared, how homes are decorated, and what activities are common to celebrations in specific regions. And of course, your student should be able to help you out by explaining their customs and sharing which holidays they celebrate at home. Most students aren't necessarily looking to find a host family that shares all of their beliefs, but a little effort could go a long way towards making the international student in your home feel less homesick, especially during times when they would normally celebrate with their own family. So when you decide to host foreign exchange students at AmeriStudent, spend some time researching the international holidays that your ward might observe to ensure that the student would have a happy and comfortable experience homestay for international students. Jetting off to a foreign country when studying abroad while living with a host family is bound to be the adventure of a lifetime. And it's made much easier when students find a host family that can show them the ropes and keep them from making dangerous blunders. But students are still bound to experience a measure of culture shock associated with being a stranger in a strange land. So you may want to take some steps to help students prepare and ease their transition into a new culture. Before students even begin to engage in the host family screening process, it's a good idea for them to read up on the culture of the country they’re visiting. This could include learning social customs like greetings and how to behave while dining. Or they might want to study the rules of the road. Students should also learn a little bit about the new country’s system of government, important laws, social mores, and perhaps even widely celebrated holidays. And of course, they should become fluent in the language before they start seeking a family that is interested in hosting a foreign exchange student. Of course, they'll get a much broader social and cultural education once they arrive, and they'll find that most host families are more than willing to help them out by teaching them what they can and correcting any mistakes they make. The trick here is to roll with the punches. Students are bound to make errors based on their own cultural background and needn't be embarrassed. If someone is offended, simply apologize, explain the situation, and ask how they can improve in the future. By and large, people are happy to help students integrate into the culture so that they can be comfortable and happy during the exchange experience. It also helps to make friends. Many households hosting foreign students have children about the same age, so students may end up with a built-in friend from the get-go. But they can also try to make fast friends at school so that students have someone trustworthy to help them out. The host family finder might not turn up a home that has people the student’s age living in it, so it’s best for them to be prepared to adopt an outgoing attitude and a willingness to approach new people. That way, they can meet new people and ease the culture shock they're sure to experience when studying abroad. 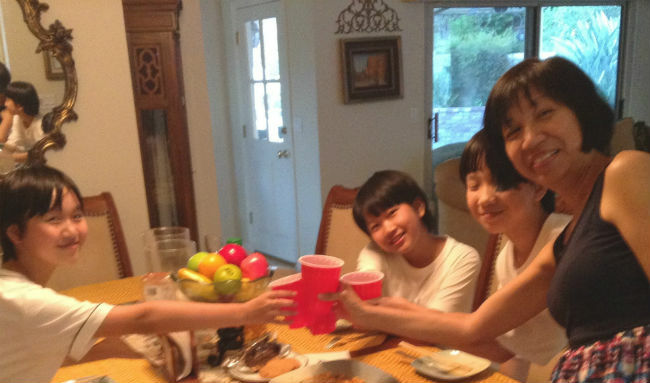 There is a lot to love about opening your home and your family life to a foreign exchange student. 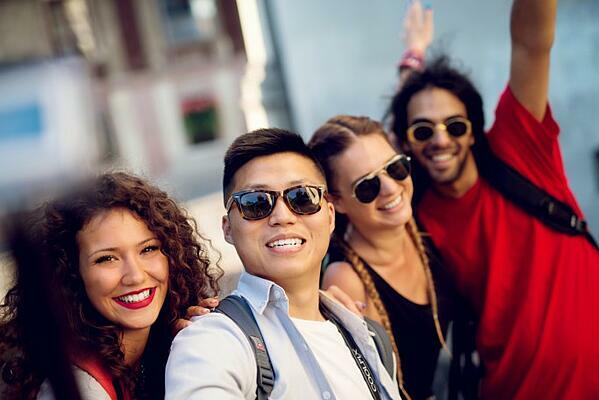 When you and your loved ones decide to hosting a international student, you have the opportunity to share your own culture, lifestyle, and locale with teens or young adults in need of guidance and care as they explore the world. But the lives of your family members will also be immeasurably enriched by this altruism, and you'll have the chance to learn more about a foreign culture directly from the source. That said, there can definitely be challenges associated with hosting a foreign exchange student, namely in the form of a language barrier. Even when everyone involved is trying to be understanding, it is possible, even probable that miscommunications will occur at hosting a foreign student. But there are steps you can take to avoid the major snafus that could cause embarrassment and offense. Here are some tips to help you steer clear of communication issues with your foreign exchange student. During the selection process, you could request students that come from countries where your language is spoken, just for example. The good news is that many international students already speak at least some English, especially if they're planning to travel to America with a study abroad program. So if no one in your household speaks a second language, you needn't count your family out as a potential for hosting a foreign exchange student. And most foreign exchange students are seeking a full immersion experience, so they will almost certainly prefer to speak English as much as possible in order to master the language during their time away from home. 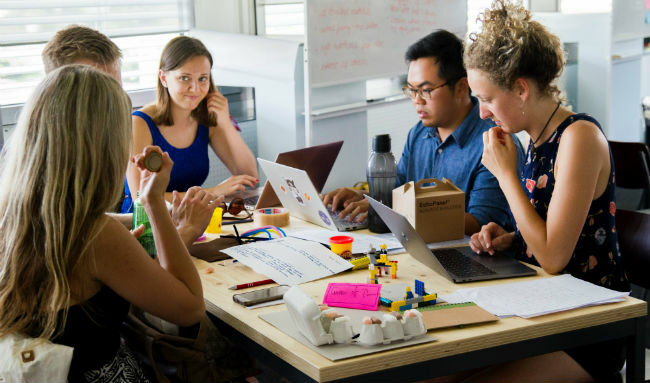 Of course, you can almost certainly make your international students feel more comfortable by taking the time to learn at least a few phrases, such as traditional greetings and pleasantries, in their language. This could go a long way towards making everyone a little bit more comfortable. Still, miscommunications are bound to occur, even if everyone is technically speaking the same language. The best thing you can do to avoid serious issues is to make it clear to your students that they can always ask you to explain words or phrases they don't understand. And if they seem to take offense at things you say or you are offended by things they say, try to talk through misunderstandings and laugh them off instead of getting angry. Relationships are a learning process at the best of times, and a language barrier can exacerbate the problem. But with an open-minded and forgiving attitude, everyone can learn and grow together. You should also take strides to understand the cultural norms your international students are familiar with. Some miscommunications may be related to cultural differences rather than a language barrier. Or students may come from family situations that are either stricter or more permissive than your household. For example, your student may have qualms about off-color language even though it doesn't particularly bother you - or vice versa. Try to be understanding and explain your position on such matters. When everyone acts in a respectful manner and remains calm in such situations, it's a lot easier to avoid or correct miscommunication in your homestay student. Even under the best of circumstances, communications issues will sometimes arise. This is where Ameristudent can really help a host family out, by providing 24/7 support to work out any miscommunication issues with your host student. Through our local coordinators, we can help smooth out any miscommunication issues, improve communication between the host family and the student, and even provide mediation if necessary. With Ameristudent, you’re never on your own. The best host families exemplify the traits already mentioned - hospitality, patience, and a commitment to the student's well-being and success. They have an honest desire to make their student "part of the family" to the best of their abilities. They are involved and aware of what is going on with their student, both academically and in their personal lives. They take advantage of opportunities to create memories and bond through shared experiences. They are flexible and patient, recognizing that things won't always be smooth sailing, but they are willing to persevere through miscommunications and disagreements. They are willing to get out of their comfort zones and are open to learning new ways of doing things from a different cultural perspective. And of course, they want to provide the best environment possible for their student. No host family is perfect, and there are bound to be bumps in the journey. But these are the qualities we strive to find and help cultivate in our network of host families. We are so thankful for all our host families and the wonderful job they do, and we are always looking to add to our network of qualified and available families. If you or someone you know is interested, contact us today to find out more information or apply as a host family online here!